In a small bowl, whisk together balsamic vinegar, olive oil, lemon juice, salt and pepper. 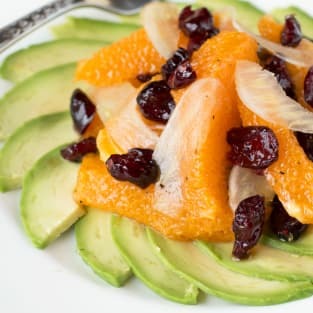 Toss fennel, oranges and dried cranberries in the vinaigrette. Arrange over the sliced avocado or avocado cut into cubes. Serve chilled.